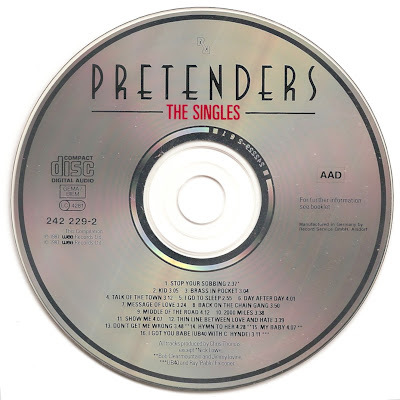 Pretenders are an English–American rock band formed in Hereford, England in March 1978. 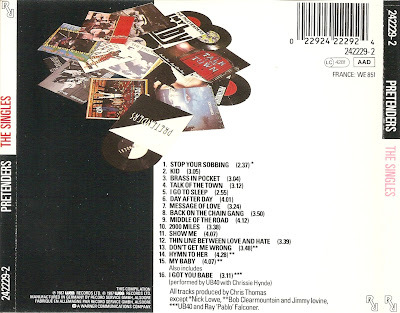 The original band comprised initiator and main songwriter Chrissie Hynde (lead vocals, rhythm guitar), James Honeyman-Scott (lead guitar, backing vocals, keyboards), Pete Farndon (bass guitar, backing vocals), and Martin Chambers (drums, backing vocals, percussion). 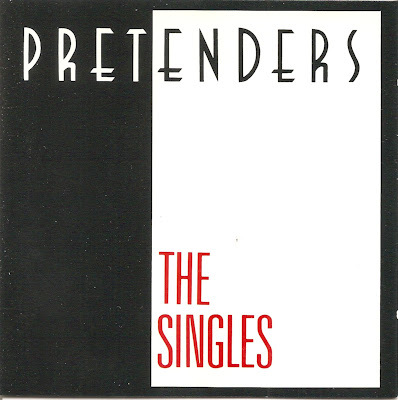 The Singles is the Pretenders' 1987 compilation album and features all the band's UK single hits to that date, as well as including "I Got You Babe" which Chrissie Hynde had performed with UB40 in 1985.